Anybody who’s ever seen a futuristic sci-fi film or read a dystopian novel would caution that this is the turning point in our timeline when things go awry. To the horror of the worldwide scientific community, a Chinese researcher claimed this week that he had used CRISPR, a gene-editing technology, to create the world’s first genetically edited babies. The twin baby girls reportedly had their DNA altered to protect them from future infection with HIV (which, by the way, is now considered a treatable condition). The details of the experiment have not been recorded in any peer-reviewed journals. At this time it has only been revealed that the researcher, He Jiankui, secured consent from the parents, but details about funding and supervision remain unclear. We have also yet to see the genetically altered babies, or to prove that they did arise from an experiment. 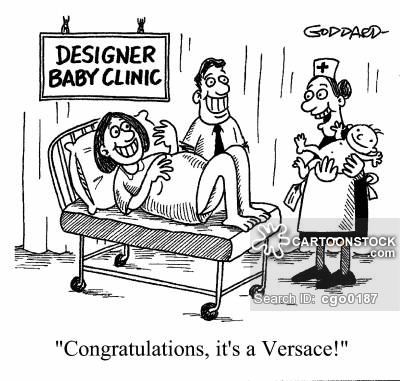 Re: No to designer babies! The experiment, if true, is disturbing for a number of reasons: first, that it violated what seemed to be an unofficial, unspoken but well understood agreement among the international community that the modification of human genomes, while conceivable, has a tremendous number of ethical red lines to be crossed. If attempted, it should not only be justifiable, but done within a rigorous framework, under strict and well-documented supervision. Previous to this revelation, the biggest leap forward had been the modification of human embryos to delete life-threatening genetic mutations; the embryos had then been discarded. Certainly nothing on the scale of what He claimed has ever been documented. The idea that a scientist independently tinkering in a lab, experimenting on humans, has the necessary tools at disposal but may not be well-armed with ethical rigor, is terrifying, and straight out of H. G. Wells’ “The Island of Dr. Moreau.” The idea that so-called “monsters” can be the result of such experimentation is not unfounded: human genome editing technology which allows the removal, alteration or addition of genetic material is said to be precise but the effects can be unpredictable. One consequence has been mosaicism (the alteration of DNA in some cells in the germline but not others), and some researchers have posited that gene alterations can cause deletions, alterations and interactions of genetic material beyond the target site—an adverse effect not fully explored but which should be serious enough to give any scientist pause. It’s a can of worms, enough to make even the most liberal-minded hesitate. Genetic engineering is leaps and bounds away from gene therapy, which is the repair of DNA of cells in individual patients, allowing for the treatment of genetic disorders and cancer; the former alters a human’s entire genetic structure as well as its future offspring, while the latter does not. From here it’s a slippery, dystopian slope into a society which is able not just to protect future generations against disease, but to allow enhanced humans or what sociocivic groups have called “designer babies.” It’s a “Black Mirror” episode waiting to happen, where the wealthy who are able to afford such technologies are able to enhance the health, talent, physique and beauty of their offspring, while those at the bottom tier of society are not, widening an already unacceptable gap. There is also so much that is still ethically unacceptable at this time when it comes to experimentation on human embryos. There is always the ever-present dilemma of discarding embryos, and the fear that “defective” babies in the future may be discarded also, plus the fact that the subjects are embryos which are unable to give consent. Furthermore, the “editing” of humans smacks of society’s intolerance for imperfection and the ableist view that those who are born with disease or deformity are somewhat less worthy or less able to live out fulfilled and happy lives. Whether the Chinese experiment is true or not, the news should be enough to raise an international alarm and to serve as a caution that this promising technology can quite easily fall into incautious, though well-intentioned, hands.